You may experience an array of negative effects from chemotherapy for breast cancer or other forms of cancer. Ask your doctor about how you can lessen the negatives while realizing the benefits of chemo. The field of cancer detection and eradication is advancing every day, with precision therapies that herald a new age in treatment. Getting a cancer diagnosis is distressing enough, but for some people, concerns about treating the cancer with chemotherapy can be equally as troubling. A woman might worry about how chemotherapy for breast cancer may cause hair loss or otherwise alter her appearance. Or a man might be concerned about how chemotherapy side effects such as nausea or fatigue will affect his job performance. Truth is, everyone receiving cancer chemotherapy responds to it differently, and the type of chemotherapy you receive also determines the adverse effects you experience. So just because one person suffers chemotherapy side effects doesn’t mean you’ll experience the same ones or to the same degree. Some people develop few, if any, side effects from chemotherapy. The best you can do is talk to your doctor about which chemotherapy side effects you can expect, how you might minimize them, and what you should do if you experience them. 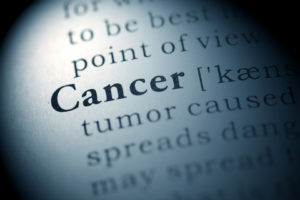 Chemotherapy drugs are designed to eradicate cancer cells, but in the process they also damage normal, noncancerous cells, most commonly those in the bone marrow, digestive tract, hair follicles, mouth, and reproductive system. Some of the drugs can harm cells in other areas of the body, such as the kidneys, lungs, heart, and bladder. The damage done to your body’s healthy cells is what causes chemotherapy side effects. After chemotherapy ends and your healthy cells are given time to regenerate, most side effects gradually subside, depending on the individual patient and the drug regimen. With some chemotherapy drugs, the side effects may be delayed, or they may last indefinitely. • Fatigue is the most common side effect from chemotherapy and other cancer treatments, according to The National Cancer Institute, and it’s also a symptom of some cancers. Unlike the tired feeling you get at the end of a long day, the weakness and lack of energy associated with chemotherapy may not fully improve with rest. Fortunately, the fatigue usually lets up after your chemo treatments end. • Hair loss usually begins after a few chemotherapy treatments. It may occur not only on your scalp, but also on other areas of your body, including your eyelashes and eyebrows. Not all types of chemotherapy cause hair loss, and not everyone loses all their hair. If you do lose your hair, chances are it will grow back after your chemotherapy is over, although it may be a somewhat different color and have a different texture or fullness. • Decreased blood cell counts may lead to anemia (resulting from decreases in red blood cells), increased risk of infection (due to reductions in the number of disease-fighting white blood cells), and a greater likelihood of bleeding or bruising (because of declines in platelets, the cells responsible for blood clotting). So, you’ll need to practice good hygiene and take other precautions against infection, and also minimize your risk of bleeding, such as being extra careful when using knives or scissors, or using an electric shaver instead of a razor. • Nausea and vomiting may begin during treatment and continue for a few hours. Less commonly, nausea and vomiting can continue for days, or you may feel nauseated even before you start a chemotherapy treatment—a condition known as anticipatory nausea. Other potential chemotherapy side effects include constipation, diarrhea, sores in your mouth or throat, and peripheral neuropathy, a nerve disorder characterized by pain, tingling, numbness, or burning sensations in your extremities. Fortunately, there are some things you can do to manage or potentially lessen some of the side effects of chemotherapy. For instance, if fatigue is a problem, getting plenty of rest (scheduling breaks throughout the day) and limiting your activities may help. On the flip side, a regular exercise program may actually lead to reductions in fatigue. Also, if you’re suffering from anemia, depression, stress, sleep difficulties, or chronic pain, addressing these causes may help you combat fatigue. Mild shampoos, the low-heat setting on your hair dryer, and soft-bristle hair brushes are gentler on your hair and scalp and may limit any further damage. You may find that keeping your hair cut short helps it to look fuller, or you might prefer to shave your head. If you lose your hair, wear a hat or sunscreen to protect your scalp from the sun, or try a wig. Your doctor can help you cope with other chemotherapy side effects. He or she can prescribe medications and make dietary recommendations to help reduce nausea and vomiting. Your physician may suggest remedies to help you cope with mouth and throat sores, or prescribe treatments to ease constipation, diarrhea, or symptoms of peripheral neuropathy. Tell your physician about all prescription and over-the-counter medications and any supplements you take, as some of these may interact adversely with your chemotherapy. Most important, talk to your doctor about your fears and concerns, and report any chemotherapy side effects you’re experiencing, especially if they’re severe. Also, you might find it beneficial to join a cancer support group or speak with a counselor experienced in working with cancer patients. anemia, bone, bone marrow, breast cancer, cancer, cancer cells, cancer chemotherapy, cancer diagnosis, cancer support, cancer treatment, cancer treatments, cancers, chemotherapy, chemotherapy drugs, chemotherapy for breast cancer, chemotherapy side effects, chemotherapy treatment, chronic pain, constipation, depression, depression stress, diarrhea, digestive, digestive tract, exercise, exercise program, hair loss, infection, lack of energy, pain, report, side effects, sleep, stress, supplements, tired, white blood cells.